IMPORTANT - The WebGL renderer only supports the NORMAL, ADD, MULTIPLY and SCREEN blend modes. Anything else will silently act like NORMAL. Various webgl draw modes. These can be used to specify which GL drawMode to use under certain situations and renderers. The gc modes that are supported by Tiny. If set to GC_MODE, the renderer will occasianally check textures usage. If they are not used for a specified period of time they will be removed from the GPU. They will of course be uploaded again when they are required. This is a silent behind the scenes process that should ensure that the GPU does not get filled up. This property only affects WebGL. A premade instance of the loader that can be used to load resources. Constants that specify float precision in shaders. Constant to identify the Renderer Type. The prefix that denotes a URL is for a retina asset. The scale modes that are supported. The Tiny.settings.SCALE_MODE scale mode affects the default scaling mode of future operations. Constants that identify shapes, mainly to prevent instanceof calls. Constants that define the type of gradient on text. Constants that specify the transform type. Represents the update priorities used by internal Tiny classes when registered with the Tiny.ticker.Ticker object. Higher priority items are updated first and lower priority items, such as render, should go later. Default priority for ticker events, see Tiny.ticker.Ticker#add. Low priority used for Tiny.Application rendering. Lowest priority used for Tiny.prepare.BasePrepare utility. 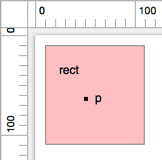 Regexp for image type by extension. String of the current Tiny version. The wrap modes that are supported. The Tiny.settings.WRAP_MODE wrap mode affects the default wrapping mode of future operations. It can be re-assigned to either CLAMP or REPEAT, depending upon suitability. If the texture is non power of two then clamp will be used regardless as webGL can only use REPEAT if the texture is po2. Split a data URI into components. Returns undefined if parameter dataUri is not a valid data URI. Looks through each value in the list, returning the first one that passes a truth test (predicate), or undefined if no value passes the test. The function returns as soon as it finds an acceptable element, and doesn't traverse the entire list. the defaultValue if no filename prefix is set. 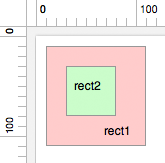 Get size from an svg string using regexp. Get type of the image by regexp for extension. Returns undefined for unknown extensions. Array.<number> An array representing the [R, G, B] of the color. Converts a hex color number to a string. Mixins functionality to make an object have "plugins". The object to mix into. number The next unique identifier to use.